This is a scene from St. Mark's wildlife refuge, my favorite fishing spot. 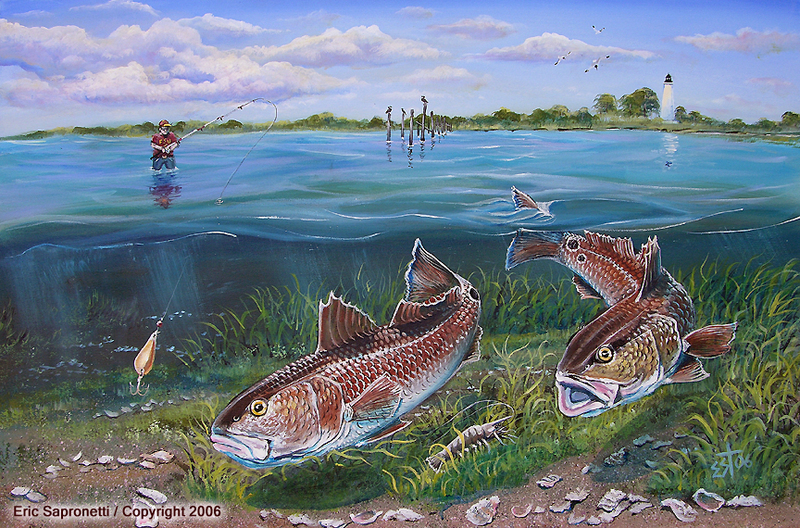 Wading out into the shallow water allows you to get close to big fish like these Redfish. While angling for Reds fishermen keep a look out for disturbances in the water. A fin, or a splash, or even a jumping fish can help you determine where to make your cast. This painting is on stretched canvas and is 36" x 24".